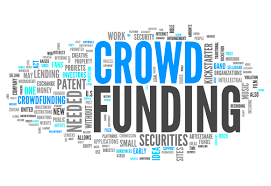 On October 30, 2015, the Securities and Exchange Commission (SEC) voted to approve the final rule to implement the crowdfunding provisions of the JOBS Act. The final rule will go into effect 180 days after its publication in the Federal Register. Once enacted, the rule will permit non-accredited investors to participate in equity funding through crowdfunding provided that certain criteria are met. Under the final rule, startups and small businesses can raise up to $1M in a period of a year through a crowdfunded offering. Offerings must be made via Broker-Dealer or Web Portal Intermediary. As suggested by Advocacy in its comment letter, the final rule clarifies that these intermediaries are not subject to the same potential liability as issuers. A number of disclosures are required for companies that make crowdfunded offerings, such as the price to the public of the securities, a description of the business and the use of the proceeds from the offering. However, the final rule also permits a simplified non-financial disclosure in the Q&A format, as recommended by Advocacy in its comment letter. Companies offering $500,000 or more, are required to provide costly audited financial statements. If a company offers less than $500,000 the company is permitted to provide reviewed rather than audited financial statements. In allowing non-audited financial statements, the SEC is directly addressing a concern that Advocacy raised in its comment letter. For more information visit Advocacy’s website, www.sba.gov/advocacy.